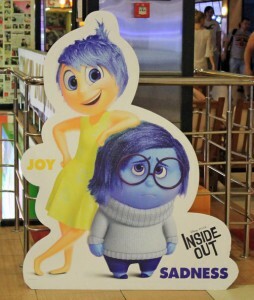 When Inside Out, the latest Pixar movie, was announced this past summer, I was excited to see how the writers would represent complex human inner experiences in a fun and child-friendly way. As a counseling psychology graduate student, I often find myself trying to explain concepts about emotions to children or their parents and searching for creative ways to make our inner experiences more concrete. Pixar did not take this task lightly. The computer animation film studio consulted with two of the leading scholars on emotion, Paul Ekman and Dacher Keltner, to ensure that the movie portrayed emotions accurately while also capturing the attention of its young audience. Ekman and Keltner propose that there are seven distinct emotions experienced by everyone across cultures and ages: anger, joy, disgust, fear, sadness, surprise and contempt. The first five of these were the basis for the main characters of Inside Out. The collaboration between the movie’s writers and these two leading experts on emotions created a wonderful tool that clinicians can use to explain emotions to children and adolescents and their parents. It distills complex concepts from neuroanatomy and personality psychology into accessible and fun characters. Audience members have the opportunity to imagine what it would be like if each of the five main emotions — joy, anger, disgust, fear and sadness — had their own feelings and how they might interact with each other. 1) All emotions are important and helpful at times. 2) We can have more than one feeling about an event. 3) Sadness is important and can foster connection with other people. 6) Emotions may look a little different for each person. These six messages can be communicated differently depending on the age of the child. 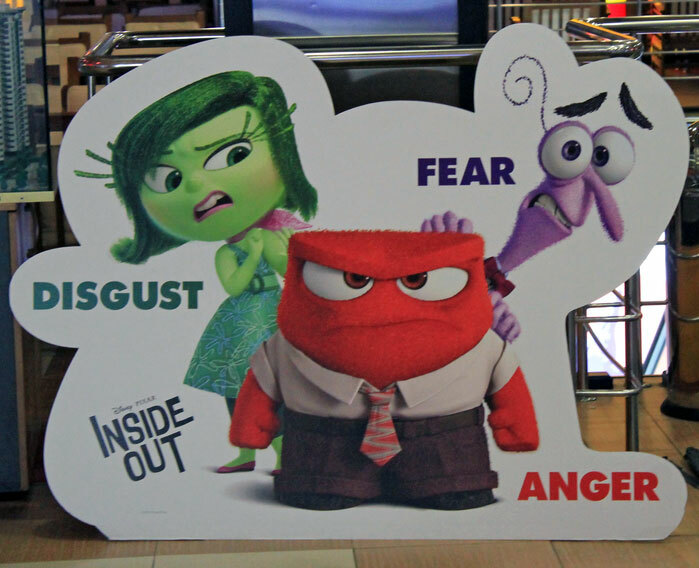 With younger children or children who have difficulty identifying emotions, Inside Out can be a great tool to talk about what each emotion looks like and feels like. When the child is feeling sad, does he or she feel like Sadness: tired, droopy and wanting to cry? When the child feels angry, does he or she resemble Anger: making fists, yelling and wanting to run or hit? Having these types of conversations can be a crucial first step in teaching emotion regulation. The film’s message that one event can bring up more than one emotion can be introduced into the therapy room by asking a child to write down or draw how Anger, Sadness, Fear and Joy feel about an event, such as an impending divorce. This activity might help children to recognize and accept that they are afraid of not seeing their father and sad about all the fighting but also excited by the idea of getting two sets of Christmas presents next year. I used the same activity with an adolescent client who was considering ending a difficult romantic relationship. I had tried several other approaches to help her explore her thoughts and feelings around the relationship but hadn’t made much progress. One session, she mentioned that she had seen Inside Out that past weekend, so I asked her to draw what each of the five characters from the film was feeling about her partner. Next, I asked her why she thought each character was feeling the way she had described. This activity made room for a wider range of emotions and helped the client increase her self-compassion and begin to accept that it was OK to be sad about ending a relationship, regardless of how problematic it had been. Another helpful activity is to ask children and adolescents (and parents too) to imagine what the five characters are feeling in another person’s head. Doing so can build empathy and understanding and increase connection. For instance, a girl may be angry at her father because he does not let her go to the movies alone with her friends. The therapist can ask her to describe or draw what is going on with each of the five emotions in her father’s head. Through this exercise, the girl may slowly realize that her father might be afraid that something will happen to her, sad that she is growing up and soon will be missing family game nights on Fridays, yet joyful that she has friends. As a way to build parents’ communication and compassion with their children, I have also asked them to describe what they believe the five characters might be feeling in their children’s head. These are just some of the ways that Inside Out can be incorporated into our daily interactions with children and adolescents to help foster emotional awareness, empathy and compassion. The applications are endless. Mercedes Fernández Oromendia is a counseling psychology doctoral candidate at the University of California, Santa Barbara. Contact her at mfernandezoromendia@umail.ucsb.edu. As my daughter is closer to 11 than 10, and weirdly resembles the animated Riley, I had a front row seat to her experiencing the film and reflecting on how she related so closely to the emotional ride the movie’s character went on. I used up my popcorn napkins entirely…and not from wiping my fingers. It was excellent and deeply moving.